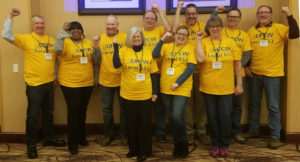 More than 2,100 members of UFCW Local 653 who work at Lunds & Byerlys grocery stores in Minneapolis and nearby suburbs ratified a new contract on Feb. 11. The three-year agreement includes an increase in wages and better benefits, and the total economic value of the contract is over $60 million over the first year alone. The new agreement raises wages for part-time and full-time workers during each year of the contract, and the average wage increase over the three-year contract for all workers is $3,708.89. 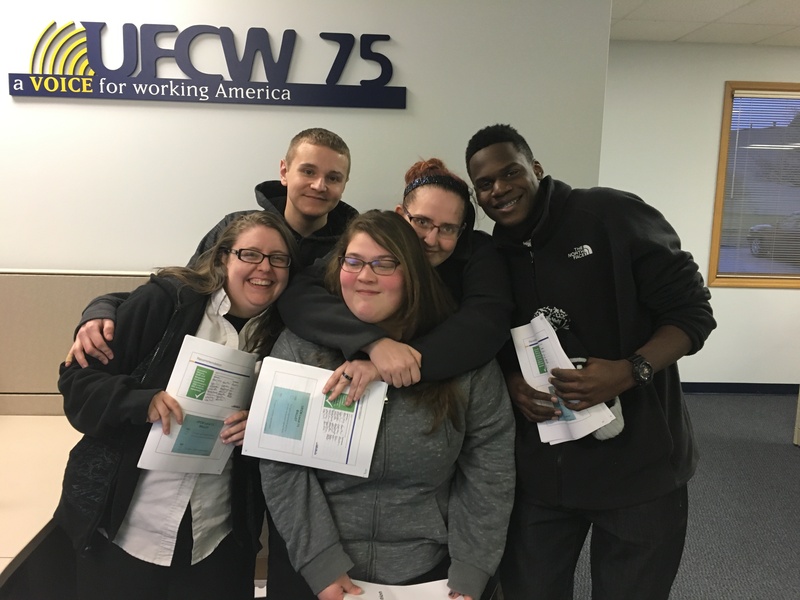 “This raise will provide more financial stability and economic independence for myself and my family. Since I’m part-time, making more money and only having to work one job makes me worry less each month. 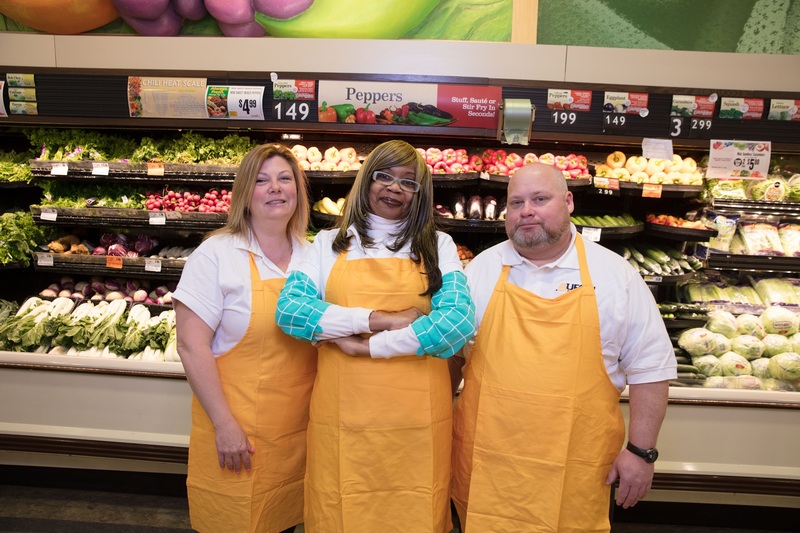 It means a lot,” said Taddeo Balma, who works in the produce department of Lunds & Byerlys in Minnetonka. The contract increases the number and security of full-time positions, and improves the quality of part-time positions. 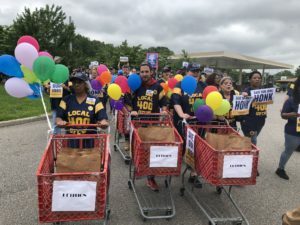 Five hundred and fifteen workers will become regular part-time, which guarantees them increased take home pay, as well as three weeks paid vacation after eight years, six national holidays, bereavement leave for domestic partners, jury duty, and ancillary benefits that include dental, vision, life, and accidental death and dismemberment insurance. “When you are part-time, it comes down to the bottom line. I’m on Medicare, and the dental ancillary benefit is huge. 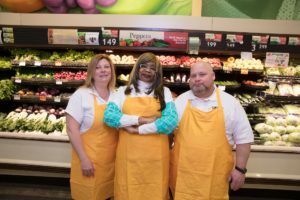 It adds a tremendous value to my life,” said Mary Heintz of the Burnsville Lunds & Byerlys, who will now become a regular part-time employee. Workers who qualify for the 401(k) retirement program will continue to receive contributions that were negotiated between the union and Lunds & Byerlys. 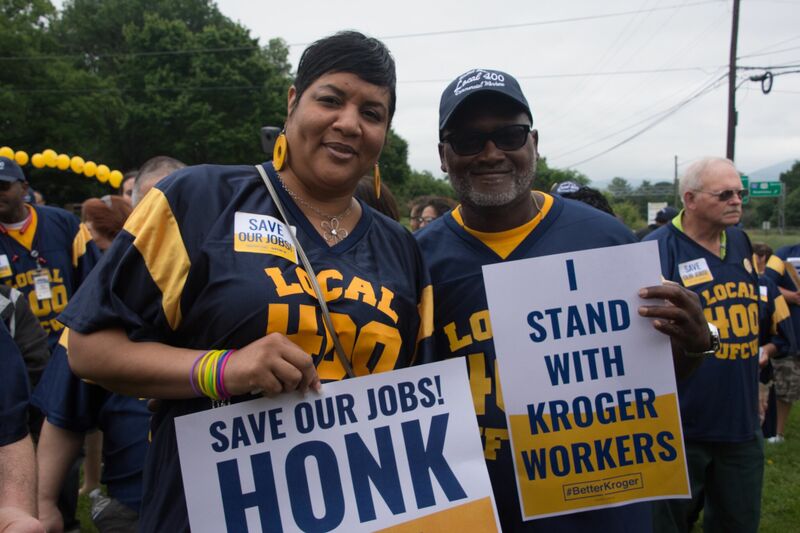 These include full-time contributions from $2 to $4 an hour and part-time is $1.35 an hour. Workers will also enjoy expanded non-discrimination language that covers gender, gender identification, pregnancy, veterans, and criminal record after employment. Employees who return on breaks from high school and college will retain seniority. 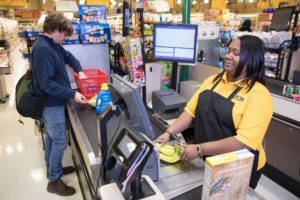 New to the contract is automation language that gives notice to employees and training opportunities if any technology is implemented in the store. 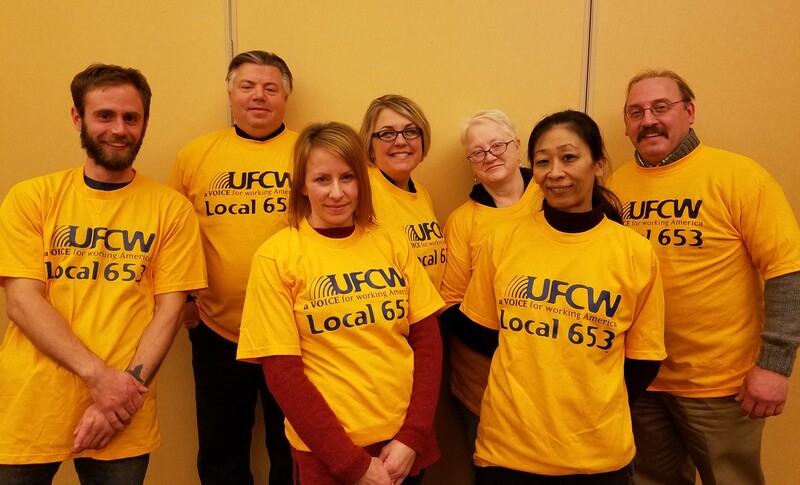 Members of UFCW Local 653 who work at Eastside Food Co-op in Minneapolis ratified their first union contract on Dec. 14. The three-year contract includes raises for all employees and establishes a just cause discipline procedure. 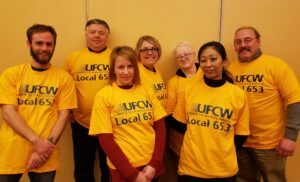 The Eastside Food Co-op employees voted to join UFCW Local 653 last April. Eastside Co-op workers were excited about their first union contract. 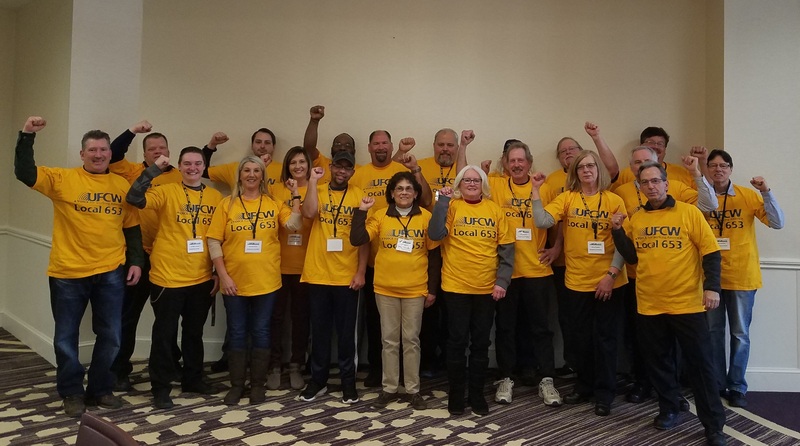 “With this agreement, we won a stronger voice in the everyday conditions that impact our work environment and our experience working at Eastside—more equitable wages, adequate staffing and training, and timely addressing labor and safety concerns,” ​said Seth Kuhl-Stennes. 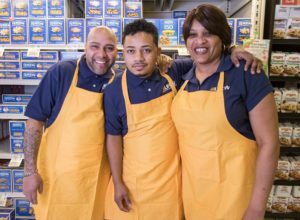 “I’m excited that we’re going to be paid based on our experience, our knowledge and the time we’ve been working here making Eastside successful,” ​said D.K. Prince. 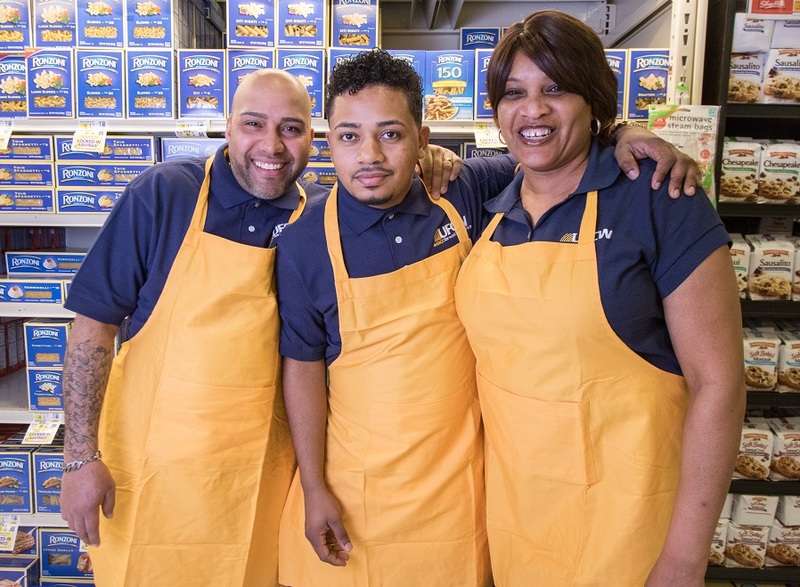 “I know that we’re leaving a better co-op for future employees and for the community. 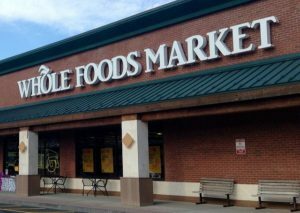 I think it’s important to work at a place that values workers’ voices,” ​ said M.J. Banken. Community support for Eastside Food Co-op workers has been steady throughout the bargaining process. 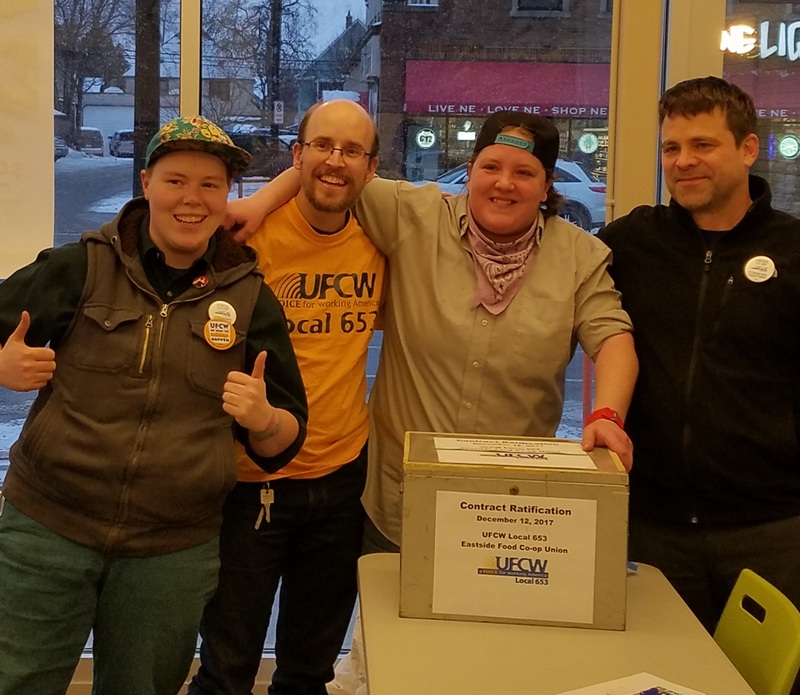 “As a longtime member of Eastside Food Co-op, a former EFC board member, and a union member, I am very excited that the workers here will be ratifying their first contract. 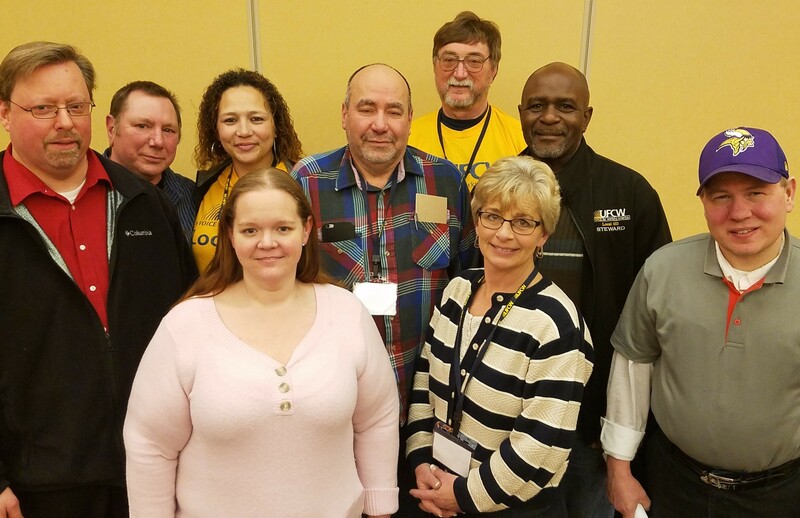 The success of our co-op is due in large part to the workers’ dedication and hard work, and this contract will ensure that they are treated fairly and with respect. 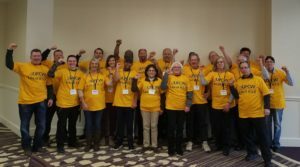 This is truly co-op values in action,” ​said Joy Anderson.